2002-05-02. New. Ships with Tracking Number! INTERNATIONAL WORLDWIDE Shipping available. Buy with confidence, excellent customer service! Dover Pubns, 1987-10-01. Paperback. Used:Good. New York: McGraw-Hill, 1940. First edition, fourth printing. Hardcover. Very good(+) copy; cloth is rubbed along the edges of corners; thin, 1" open tear to cloth along the foreedge of the cover board; spine label adhesive residue to tail of spine; light scuffs to cloth; pages are unmarked, clean, bright and free of creases; binding is square; hinges are tight.. Octavo in green cloth; 698 pages : diagrams ; 24 cm. In English. || Association copy from the library of Nobel laureate Dr. Donald A. Glaser, inventor of the bubble chamber; signed "D. A. Glaser 1953" on ffep; NB: search keyword DGLSR for more titles from The Glaser Collection including more signed and other collectibles. Series: International series in physics; Contents: Empirical classification of solid types -- The classical theory of ionic crystals -- The specific heats of simple solids -- The free-electron theory of metals and semi-conductors -- Quantum mechanical foundation -- Approximate treatment of the many-body problem -- Molecular binding -- The band approximation -- Approximational methods -- The cohesive energy -- The work function and the surface barrier -- The excited electronic states of solids -- The electronic structure of the five solid types -- The dynamics of nuclear motion; phase changes -- Theory of conductivity -- The magnetic properties of solids -- The optical properties of solids. Descriptor: Solids. Crystallography. 1987-02-04. Good. Ships with Tracking Number! INTERNATIONAL WORLDWIDE Shipping available. May not contain Access Codes or Supplements. May be ex-library. Shipping & Handling by region. Buy with confidence, excellent customer service! New York: McGraw-Hill Book Company. 1940. First Edition; Eighth Printing. Hardcover. Very Good in boards. Toning. Owner name to front pastedown. ; 8vo 8" - 9" tall; All domestic orders shipped protected in a Box. .
McGraw-Hill, 12/01/40. TRUE. Hardcover. Good. No jacket; mild shelfwear - but nothing severe. Previous owner's signature. Dover Pubns. PAPERBACK. 0486654826 New Condition. . New. 2002-05-02. Good. Ships with Tracking Number! INTERNATIONAL WORLDWIDE Shipping available. May not contain Access Codes or Supplements. May be ex-library. Shipping & Handling by region. Buy with confidence, excellent customer service! New York and London: McGraw-Hill Book Company, 1940. International Series in Physics. 698 pages. Figures, graphs. Pencil notes on some pages, otherwise pages good condition. Prervious owner's book plate on front paste down endpaper. Green cloth, green label with gilt title on spine. Edges, head/tail of spine and corners worn and lighlty bumped. VG. 1st Edition, 5th Impression. Hard Cover. McGraw Hill Book Co, 1940-01-01. Good. Ex-Library in plain orange library boards with all the usual markings, possible attachments, and library wear. McGraw-Hill Book Company, Inc, 1940. Hard Cover. Very Good/No Jacket. No jacket, boards lightly rubbed, ink name on front endpaper. 1940 Hard Cover. xv, 698 pp. 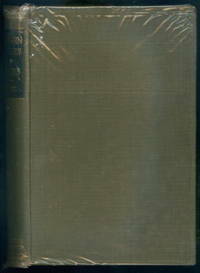 CONTENTS: Preface; Commonly Used Symbols; Empirical Classification of Solid Types; The Classical Theory of Ionic Crystals; The Specific Heats of Simple Solids; The Free-Electron Theory of Metals and Semi-Conductors; Quantum Mechanical Foundation; Approximate Treatment of the Many-Body Problem; Molecular Binding; The Band Approximation; Approximational Methods; The Cohesive Energy; The Work Function and the Surface Barrier; The Excited Electronic States of Solids; The Electronic Structure of the Five Solid Types; The Dynamics of Nuclear Motion, Phase Changes; Theory of Conductivity; The Magnetic Properties of Solids; The Optical Properties of Solids. Dover Pubns. PAPERBACK. 0486654826 Like New Condition. . Fine. McGraw-Hill, 1940-12-01. Hardcover. Very Good. McGraw-Hill, 1940, Hardcover, unmarked, slight rubbing to corners and spine ends, slight toning and foxing. McGraw-Hill Book Co. Inc., 1940. Hardcover. Good. 1940. Third Impression. 698 pages. No dust jacket. Khaki cloth with gilt lettering. Bright pages with light tanning and foxing to endpapers and page edges. Former owner's name on front endpaper and inscription to paste-down. Some minor dog-eared corners. Rub marks and a few small nicks to text block edges. Tanning along spine and board edges. Forward leaning and bowed. Mild rub wear to surfaces and edges with crushing to spine ends and minor bumps to corners. McGraw-Hill. Hardcover. 0070560307 Stated "first edition, seventh impression;" 698 p., clean and unmarked except for name of former owner on front end paper; paper mildly age-toned but strong; binding firm; khaki boards with green patch on spine and gilt lettering;; title blind stamped on front board; very slight bumping of corners but considerable though superficial scuffing on lower spine and back board. . Very Good. New York and London: McGraw-Hill Book Company, Inc, 1940. First edition, seventh impression. Hardcover. Octavo; G/no-DJ; Light green spine with gilt text; Cloth has slightly sunned exterior with some rubbing along spine and at corners which are otherwise intact and strong; Text block has slightly age toned edges and previous owner's name on ffep, unmarked pages and tight binding; pp 698. Shelved Rockville Bookstore. aw-Hill, 1940. Hardcover . Good. International Student edition. Trade paperback. Spine creasing; no pages loose. Text clean and unmarked. 698 pages. McGraw Hill. In clear plastic taped to eps, thus gum residue. Internally crisp and clean. Hinges cracked at eps. Boards lightly rubbed and bumped. Reprint. Owner's name to fep dated 1948. . Good. Hardcover. 1940. Dover Pubns, 1987-10. Paperback. Good. Dover Pubns. Used - Very Good. Former Library book. Great condition for a used book! Minimal wear. Dover Pubns. Used - Good. Former Library book. Shows some signs of wear, and may have some markings on the inside. Dover Publications, Incorporated, 1987. Paperback. Acceptable. Disclaimer:A readable copy. All pages are intact, and the cover is intact. Pages can include considerable notes-in pen or highlighter-but the notes cannot obscure the text. At ThriftBooks, our motto is: Read More, Spend Less.Dust jacket quality is not guaranteed. New York: McGraw-Hill Book Company. Very Good condition. 1940. 1st Edition. 5th Impression. 3 copies available. one a first edition first issue . New York: McGraw-Hill Book Company. Good condition,moderate shelfwear,taped spine & edges,ex-lib. 1940. 2 copies . Dover Pubns, 1987-10-01. Paperback. Good. 8.2000 inches 5.3000 inches.